The AU System uses a rules-based underwriting engine, integrated with Insular Life’s onlineproposal and application tools, which equips the company to quickly render an underwritingdecision during the policy application process. The AU System is accessible to the Insular Lifefinancial advisor through the company’s online Agent Portal and is linked to Insular Life’s MyProposal system. Thus, as soon as a customer decides on a product, the agent can proceed tounderwrite him through the AU System. This automated process ends with an underwritingdecision that can be communicated right away to the client, thereby hastening the applicationprocess and consequently, the delivery of the new policy.The AU System cuts the waiting period from the previous two to three days, to as short as a fewminutes, for an underwriting decision to be given. 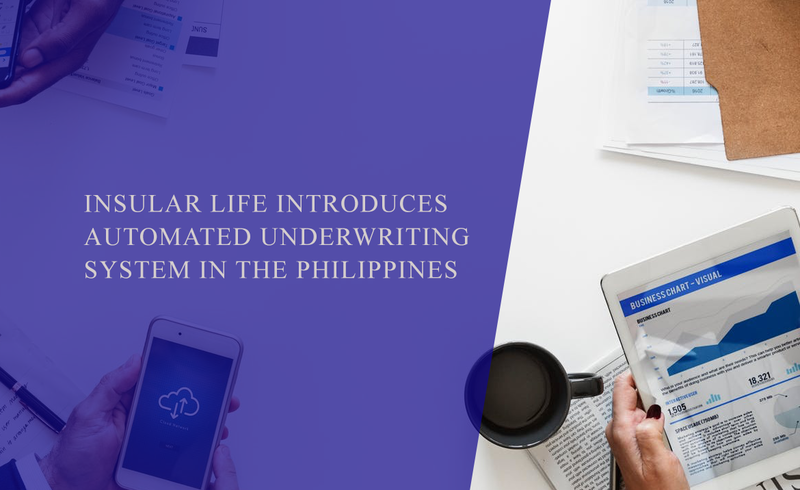 The use of the automated underwriting system is increasing steadily worldwide, but hasremained untapped in the Philippines, until Insular Life’s AU System was launched recently.Since adapting the automated underwriting, Insular Life has been able to generate over P100million in new business as a direct result of using the AU System. The growth spurt that automated underwriting gives insurance companies is considerable, fromwidening distribution channels and shortening the sales cycle, to increasing businessadministrative efficiency. For Insular Life, however, the additional benefit of the AU System isthe bespoke customer experience that allows it to offer a wider range of products that are moresuited to its client’s profiles. Insular Life’s AU System is supported by the ALLFINANZ Interview Server (AIS) of Munich ReAutomation Solutions (MRAS). To learn more about Insular Life’s AU System call us at 876-1- 800, or get in touch with yourInsular Life Financial Advisor.